I’ll be honest here: not a whole lot has changed with Out of the Park Baseball since I last wrote about it a couple of years ago. There are certainly tweaks here and there — new 3D ballparks, new scouting reports, even more historical splits and stats — but for the most part, what you’re getting here is what you’re getting from the vast majority of annualized sports games: roster updates. Mind you, OOTP 19 probably offers deeper roster updates than you could possibly find anywhere else, which is a big part of what makes the game so attractive. If you’re the sort of person who doesn’t just want to set up the roster for your favourite MLB team, but also the rosters and lineups all the way down to the lowest short season rookie league (or even teams and leagues that aren’t MLB-affiliated), then OOTP continues to be your best — and possibly only — bet. Because OOTP 19 offers so much depth, my only complaints about it are more nitpicks than actual complaints. Case in point: the speed of the simulation. Even when I would try and go with an accelerated simulation, I still found my seasons being interrupted by all kinds of little email updates to me as GM, no matter how much control I had delegated to my Assistant GM and how few updates I was subscribed to. While I appreciate knowing how my injured players are recovering and how the All-Star Game voting is going, when you just want to zip through a season, those kinds of updates become kind of annoying. Likewise — and this complaint is truly down in the weeds — it felt like there was something wrong with how OOTP calculates WAR. I understand that different systems weigh talent differently (otherwise we wouldn’t have the ongoing Baseball Reference vs Fangraphs debates), but it still felt like there was a marked disparity between pitchers and position players. While batters had no trouble displaying their value, it often seemed like pitcher valuations were off, giving far too much weight to Wins and Saves, and not nearly enough to ERA or WHIP. If we’re arguing about number weighting, however, that’s probably a sign that OOTP is doing something right. After all, where else can you expand and realign Major League Baseball so that its schedule and its leagues make sense? Where else can you play around with Hall of Fame voting so that it rewards the most deserving players, and put in a voting system that isn’t completely broken? And, looking beyond the MLB, where else can you organize Dutch, or Italian, or Korean leagues? It’s also worth mentioning that those graphical upgrades are pretty neat. True, no one is going to confuse the on-field action here for what you’d find in MLB The Show, but the fact that the games run smoothly and portray everyone on the field is a nice bonus. What matters most, though, is how well OOTP 19 delivers in terms of giving you full — and I do mean full — control over your favourite baseball franchise. And, unsurprisingly, it delivers a comprehensive experience, as it has for years now. Whether you want to build your team from scratch or take over the reins of your current favourite, you can do that here, and you’ll probably sink hours and hours and hours into it in the process. 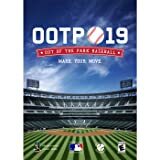 Out of the Park Developments provided us with an Out of the Park Baseball 19 PC code for review purposes.